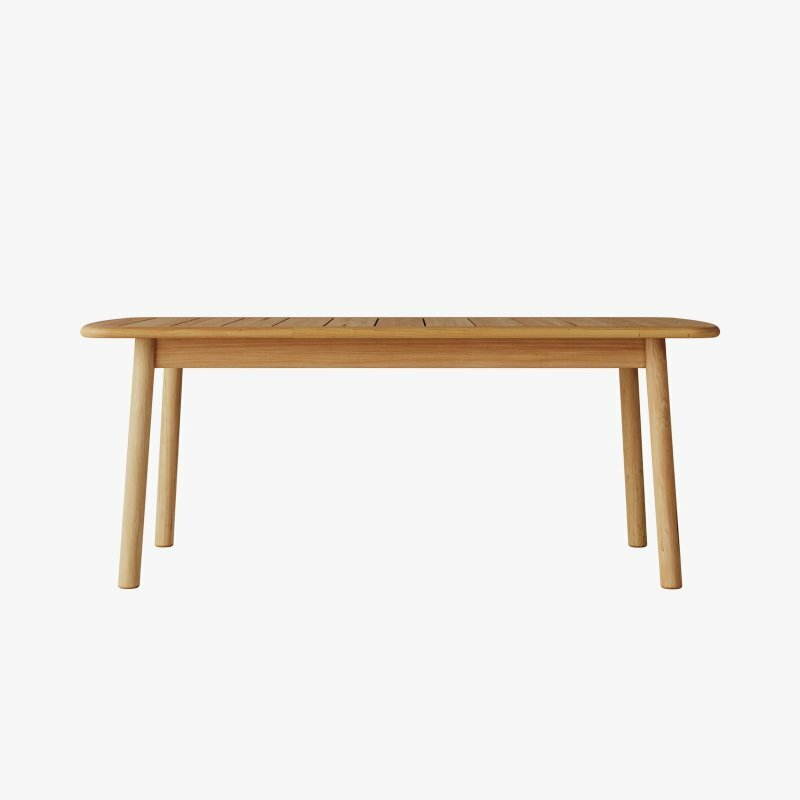 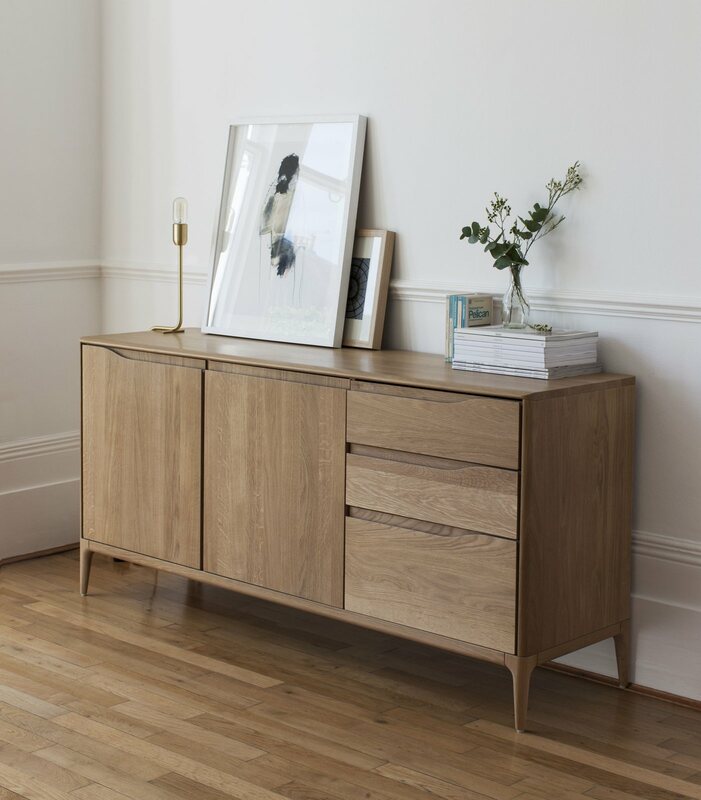 Romana Large Sideboard is a timeless sideboard made from oak, designed by ercol. 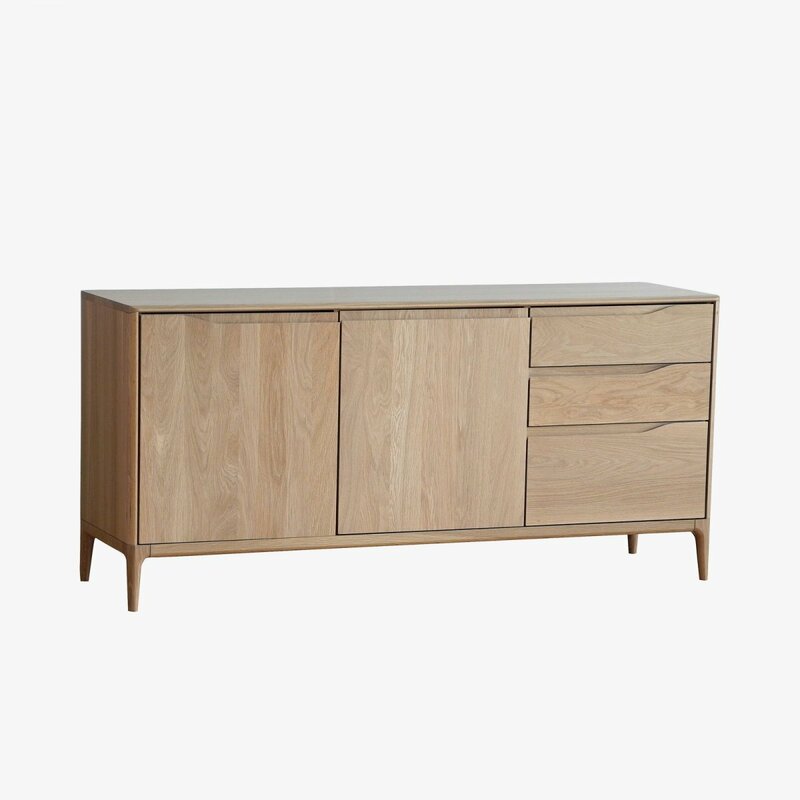 The largest of the Romana sideboards, this stylish sideboard provides lots of storage space, with two separate cupboard sections and thee drawers. 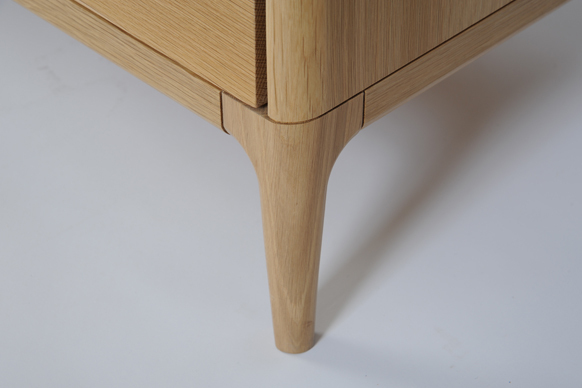 The front edge of the sideboard top bears the signature soft curve, and the legs have the fluid organic curves and chamfers, that characterize Romana. 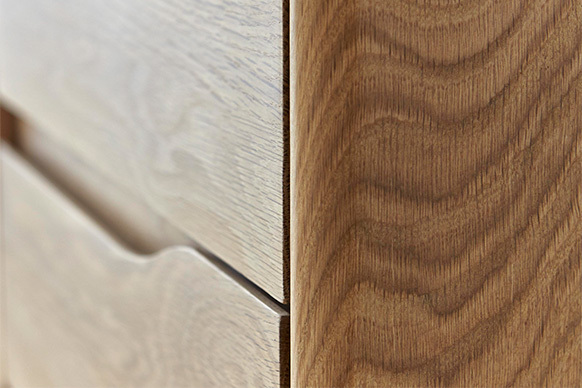 Fluid wave-shaped cut-out recesses provide the door and drawer handles, another design signature of the range. 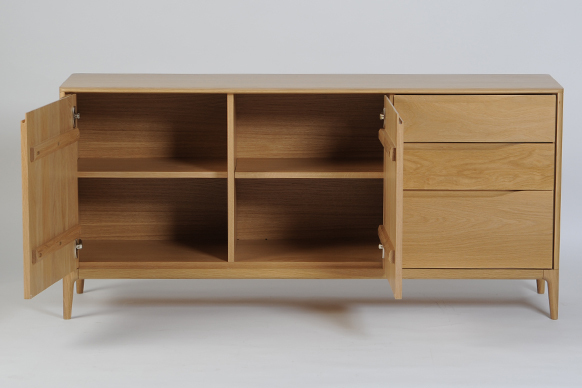 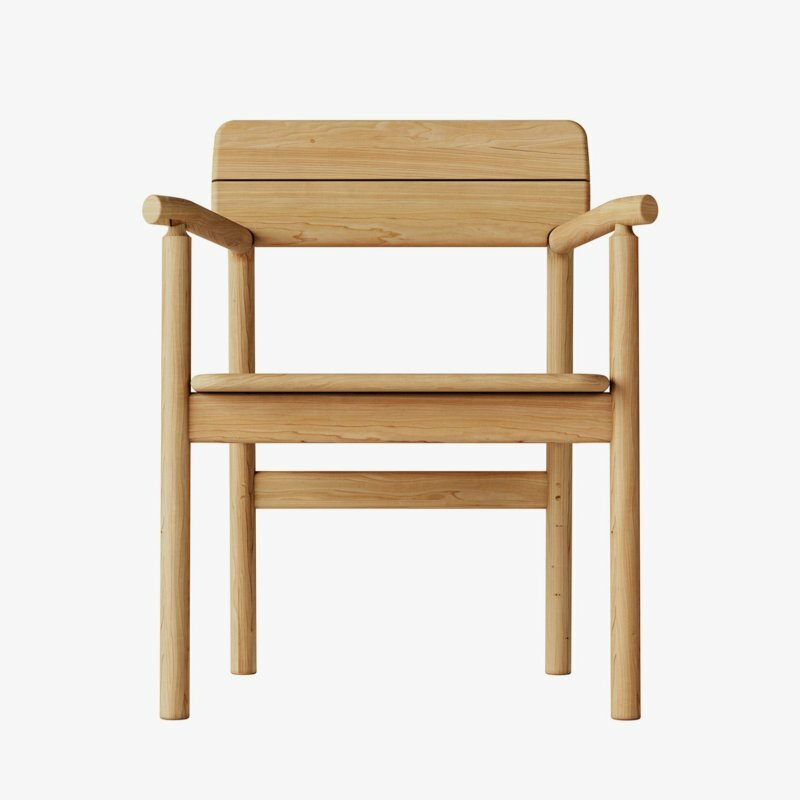 The cupboard sections each have a wooden shelf mounted on pins and can be adjusted in height. 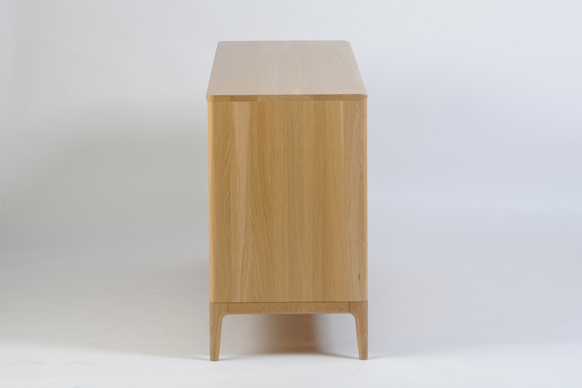 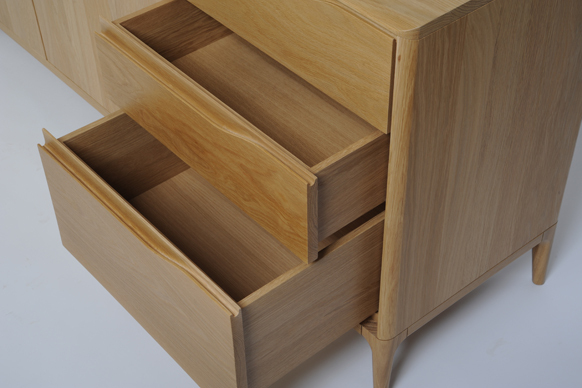 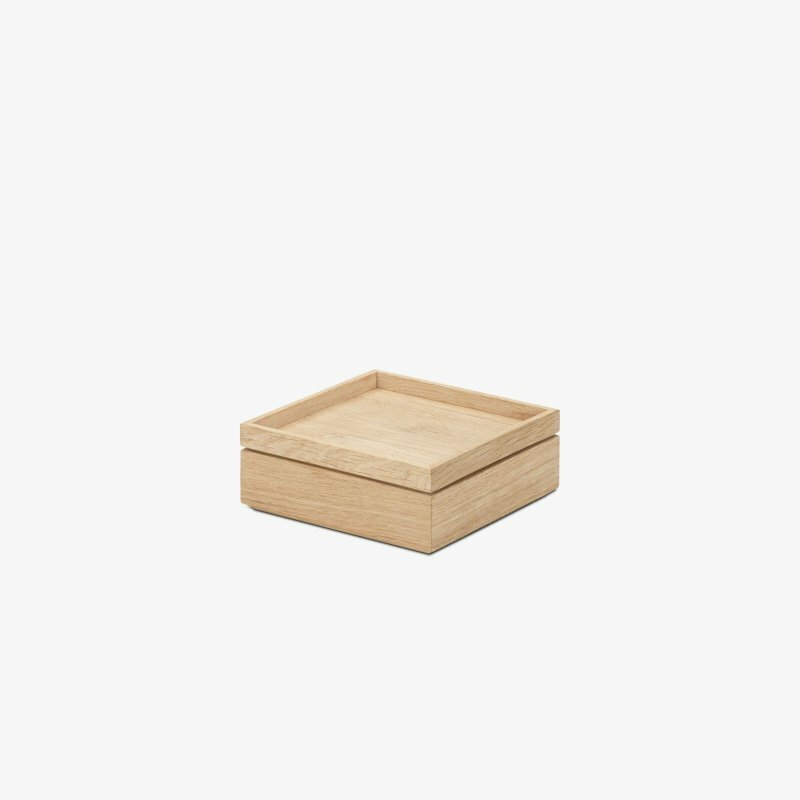 The three drawers and the door hinges have soft-close mechanisms to give a gentle shut. 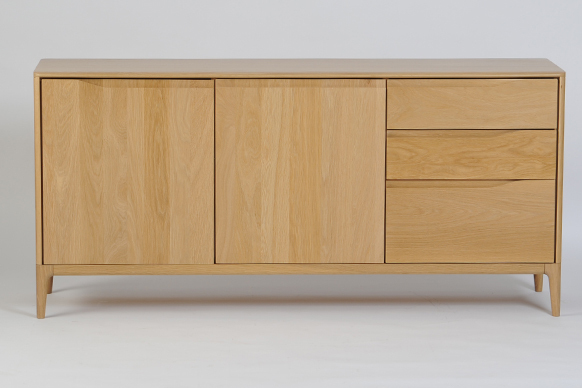 Finished in a clear matt lacquer to show the beauty of the natural timber.